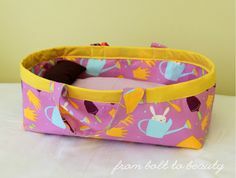 No Need to Take the Quilt Apart! 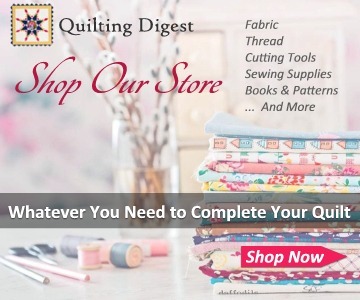 Have you ever basted a quilt and had it ready for quilting only to discover stray threads showing through from under the top? Or, worse yet, discovered dark stray threads after it has been quilted? 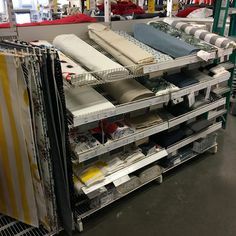 This is a common occurrence, especially with white or light fabrics in the top. 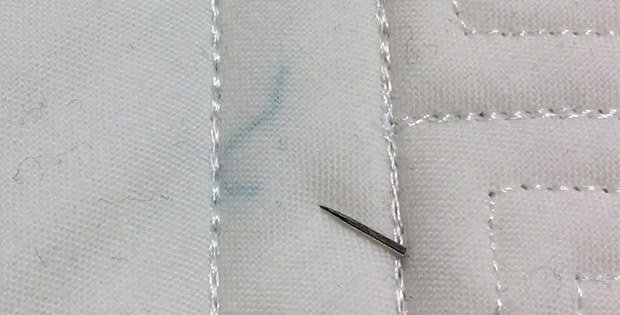 Stray dark threads can create shadows under the lighter fabric. In some cases dark threads hardly show and can be left alone. But those that are obvious should be removed. 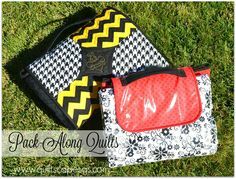 While you may consider taking the quilt apart, there is an easier way to get those threads out of there. 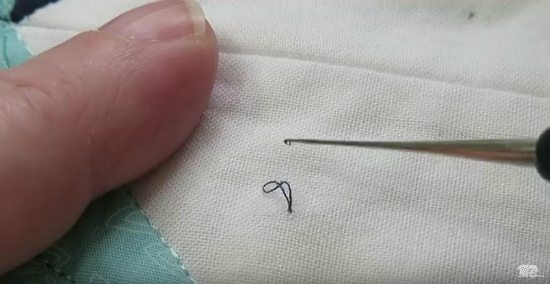 In the following video Amy Johnson demonstrates using a tiny crochet type hook to snag threads and pull them through the top. Joanne Roth from She Quilts It uses a size 13 0.85mm crochet hook (found here). 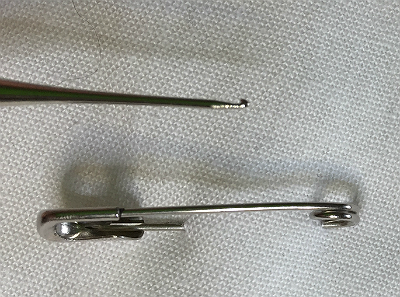 It’s shown against a 1″ long safety pin below. Learn more here. 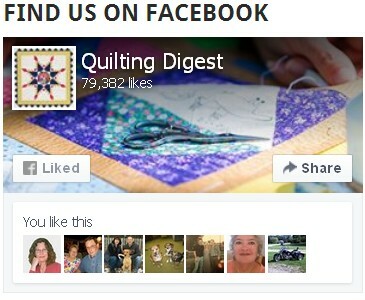 Rose City Quilter uses a Clover Soft Touch Thread Pic (available here). Learn more here. Any tool with a tiny hook on the end can work. Just be careful not to snag and pull threads from the fabric.